Be it for business or for leisure, the number of people visiting Malaysia is drastically increasing. However, in order to visit this scenic country, you must obtain a visa first. Now, procuring a Malaysia eVisa has just got easier through this fact list. Malaysia, one of the biggest hubs in south-east Asia, has established itself for its tourism, culture and commerce. With its increasing popularity, Malaysia has become one of the favourite travel destinations among people. It is blessed with a diverse culture, rich natural resources and a beautiful topography. Today, Malaysia is a must-visit on everyone’s bucket list. An eVisa, short for electronic-visa, is a form of validation for foreign nationals to visit a country. An eVisa reduces the inconvenience of manually applying through the embassy of a particular country. It is also time-saving. You don’t have to be physically present at a consulate to procure the visa. While applying for an eVisa, the transactions and payment also happen online. What is a Malaysian eVisa? On March 2016, the Immigration Department of Malaysia introduced the Malaysia eVisa. It was introduced to ease the process of obtaining a visa for foreign nationals. All you have to do is fill up the form and complete the payment online. Once the formalities have been completed you will receive your visa via email. The Malaysia eVisa cannot be used for diplomatic or expatriate purposes. Which kind of Visa do you need to visit Malaysia? The kind of visa you choose depends upon your purpose of travel. Are you a tourist who might need to enter Malaysia only once? Or are you on a business tour wherein entering and departing Malaysia multiple times might be necessary? Visas to Malaysia are broadly classified into single entry, multiple entry, and transit visas, as explained below. Single Entry Visa: It is issued to foreign nationals who require to visit the country mostly on a social visit or for the purpose of tourism. With a single entry visa, you cannot enter the country again, once you have departed. Multiple Entry Visa: It is issued to foreign nationals who require to visit the country multiple times within the period of validity. You can depart and re-enter the country multiple times, within the period your visa is valid. Transit Visa: This visa is issued to foreign nationals who enter Malaysia to transit to other countries. If you do not leave the airport and are heading to a different country via a connecting flight, consequently, a transit visa isn’t necessary. What are the various types of Malaysia eVisa for Indians? All the three visas are valid for up to 3 months from the date of issue. What is a Malaysia eNTRI Visa? Electronic Travel Registration and Information (eNTRI for short) is an online registration facility by the Malaysian Government. It was formulated to encourage the entry of Indian citizens in Malaysia under the Visa Waiver Programme. An eNTRI visa holder can stay for a maximum of 15 days in Malaysia and this duration cannot be extended. What is a Malaysia eVisa for Single Entry? A single entry eVisa enables you to enter the country once and stay for a period of 30 days from the date of issuing. Once departed, you cannot enter any part of the country again with the same visa. This visa is not extendable. What is a Malaysia eVisa for Multiple Entry? A multiple entry eVisa enables you to enter the country multiple times during the time the visa is active. This visa cannot be extended, but you can enter the country multiple times after your departure, provided it is within a 30 day period. How can Indians apply for a Malaysia eVisa? Or, you can apply through www.evisamalaysia.in: one of the best online agent services to procure Malaysian eVisa for Indians. Note: With various online scam sites conning the travellers, it is important to know which site is reliable. The above-mentioned sites are completely dependable and authentic. How to apply for eVisa through the official site? You can track your visa status easily following the steps mentioned further below. After your visa has been approved, you will get the digital visa through email. A Digital visa is not accepted, hence a copy is necessary. How to apply for eVisa through evisamalysia.in? Select on the Visa that you’re looking for (for example, eNTRI visa, eVisa for single entry or eVisa for multiple entry). Carefully fill in the required details. After you have submitted the registration form, you will receive a call from an agent who will explain the process to you. You will then receive an email with the list of documents that have to be submitted. Furthermore, you will get unique payment link through which you’ll have to make an initial deposit of 10%. You can easily track your Visa status by staying in touch with the agent. Once your Malaysian eVisa application is approved, you will get an email stating the same. The rest of the payment has to be made at this point. After you complete the transaction, you will get your eVisa within 48 hours. What are documents do I require while applying for eVisa? Follow the guidelines mentioned below, when you submit your photograph for visa application. How to verify the status of your visa application online? Checking on the status of your visa application online is an easy process. Enter your sticker number in the second box. Your sticker number can be found on the header of your online visa. After entering the details click on “check”. If the information you’ve entered is correct, the website will display the details of your online visa application. The website will display the information in the format shown below. What are documents should I present upon entry into Malaysia? Proof of sufficient funds for sustenance during your stay in Malaysia. As an Indian Passport holder, do I need a visa to visit Malaysia? Yes. Indian nationals need to hold a valid Malaysian visa while travelling to Malaysia. Depending on the purpose of the visit and the number of days, you can choose either a single or a multiple entry eVisa. It is also possible for Indian citizens to get a visa on arrival in Malaysia. Can Indians get a Visa on Arrival to Malaysia? And lastly, carry a minimum of 1000 USD to show sufficient funds. Where in Malaysia can I get a visa on arrival? What is the validity of the Malaysian eVisa? Both, eVisa (single entry and multiple entry) and eNTRI visa are valid up to 3 months (90 days) from the date of issue. It is recommended that you apply for the visa at least two weeks prior to your trip. It is impossible to extend the validity of the eVisa, therefore it is advised that you plan your journey accordingly. 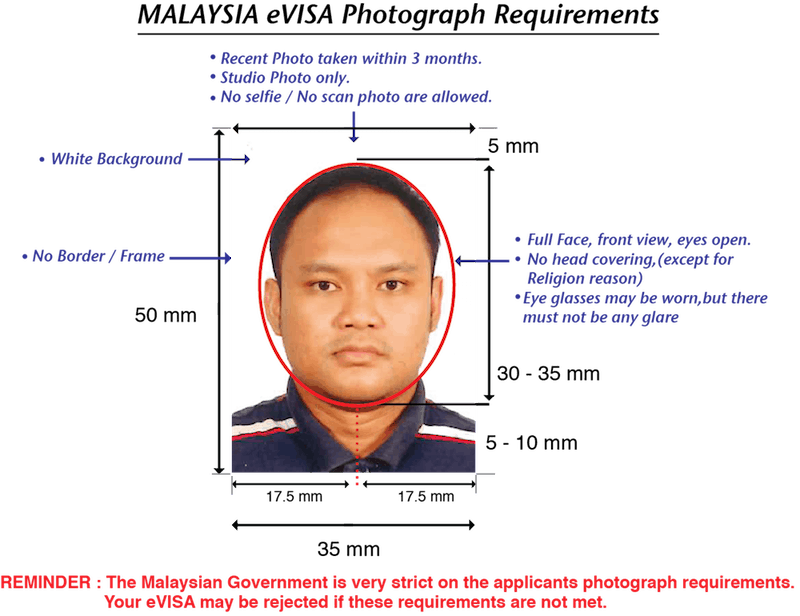 What should be the validity of my passport to get the Malaysia eVisa? The passport should have a minimum validity of 6 months from the planned date of entry, to get the Malaysia eVisa. What is the fee for Malaysia eVisa for Indians? The 30 days Malaysia single entry visa costs 2750 INR and the 30 days Malaysia multiple entry visa costs 3100 INR. How long before my travel date should I apply for Malaysia eVisa? It is advisable to apply for your eVisa at least 2 weeks prior to your departure for a hassle-free journey. The eVisa would be processed by 2 working days, however, it is recommended that you apply for Visa earlier to avoid any unforeseen circumstances. It would also give you a longer period to arrange flight tickets and book accommodation. How long does it take to obtain the eVisa? It takes 48 working hours to process the visa. This excludes the weekends and public holidays. What is the minimum number of blank pages to be available in the passport before entry into Malaysia? The minimum number of blank pages required in the passport is 3 pages, for both the entry and the exit stamps. What are the documents to be provided for proofs of accommodation? You need to provide the details of a confirmed hotel reservation to the Immigration officer. If staying with a relative, a cover letter is required stating your name and passport number, and the name and address details of the person with whom you will be residing. Furthermore, you have to provide a copy of the identification card of the person with whom you will be staying. What are the special requirements for minor children applying for eVisa? For children below 12 years of age, you’ll have to provide a copy of their birth certificate as proof of relationship between the child and the accompanying parent. If the child is travelling alone, a copy of the parents passports’ and a NOC (No Objection Certificate) is required.